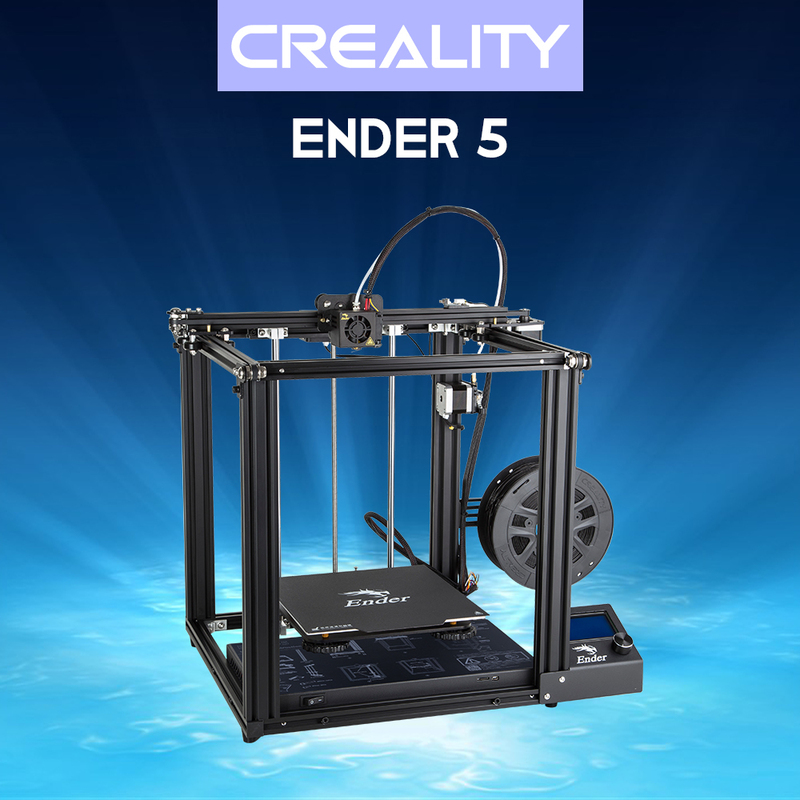 The Creality Ender-5 3D printer packs the best bits from the Ender 3 Pro into a bigger, box-like frame. 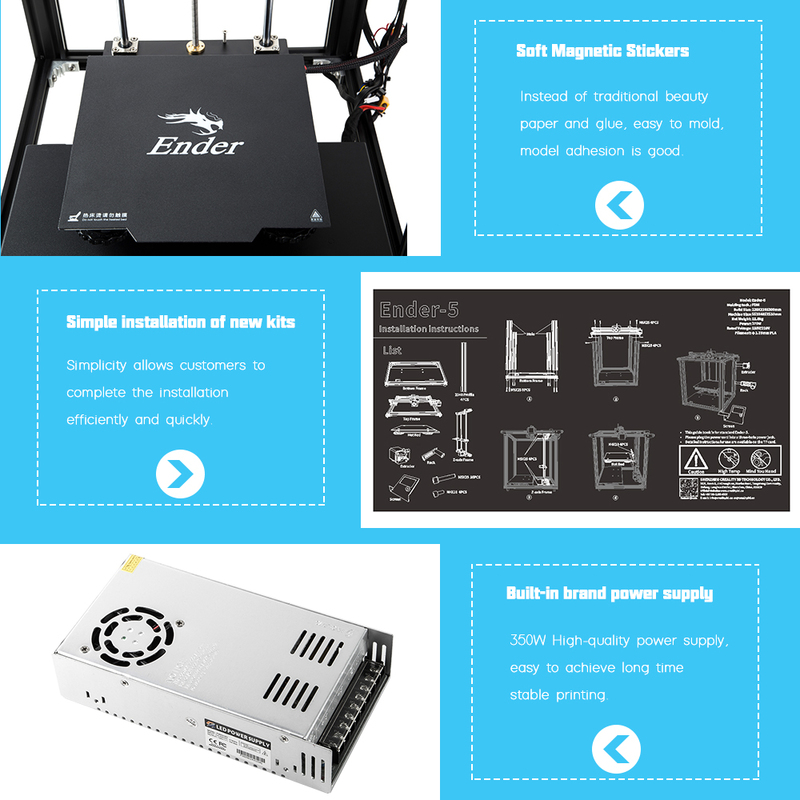 The Ender-5 is the Ender 3 Pro we wished for: It’s not perfect, but with a little care, you’ll get great prints out of it. 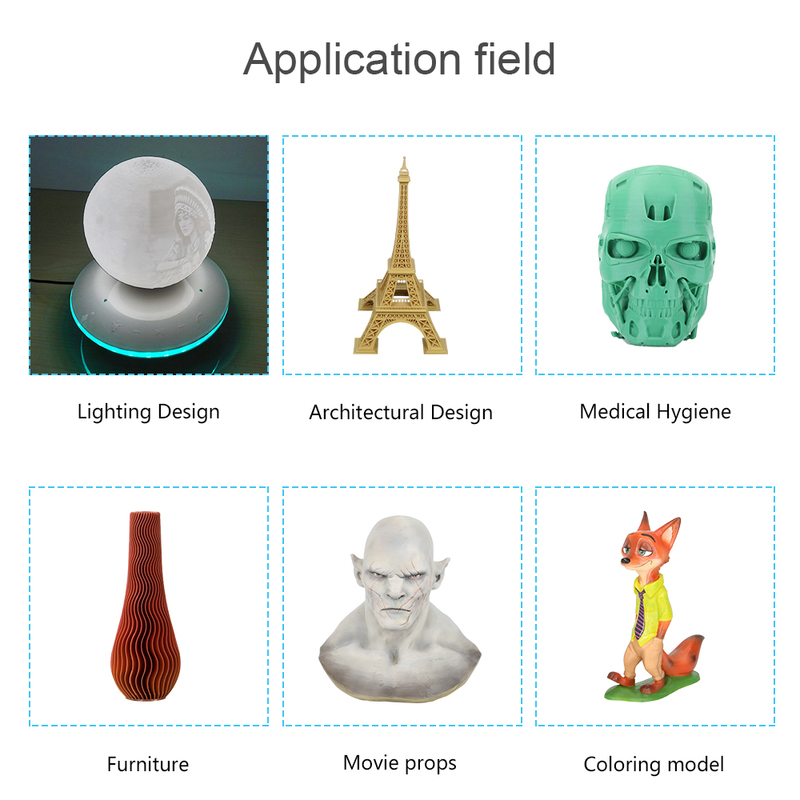 Overall, Ender-5 is an interesting and affordable tool for makers, hobbyists, tinkerers, who are willing to spend some time with it.Compared to the Ender 3 Pro, the Ender-5 can deliver better prints straight out of the box. 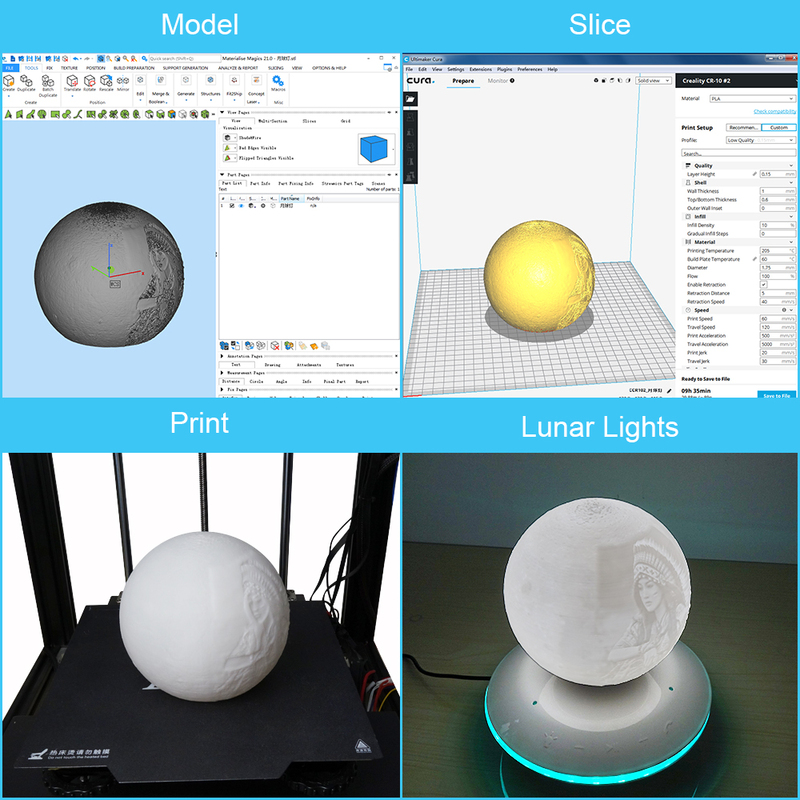 Magnetic bed allows the user to remove 3D printed models easily. Thermal Runaway protection enabled on the firmware. Landy 350W / 24 V power supply lets you heat the bed up to 100 degrees faster. Polypropylene Build plate for great adhesion. No tape or glue needed. Prints can be removed easier.Easy to clean with Alcohol or warm,soapy water Upgrade!! Ordered late one Sunday night, and received it the following Wednesday, very well packed by Creality. 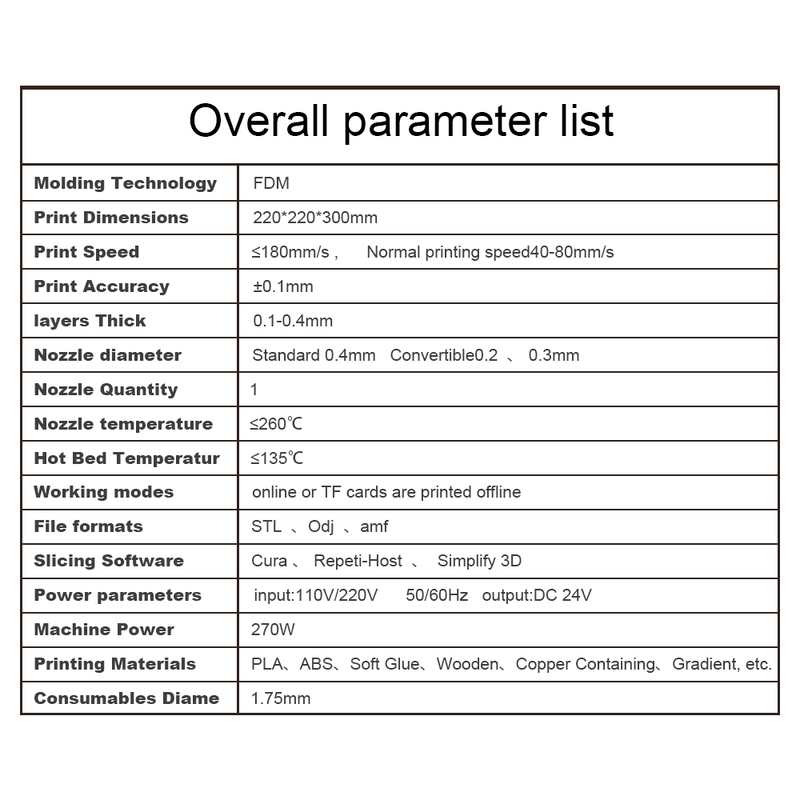 The Ender 5 is a very good printer, it produced excellent prints right off the bat on two difficult thingi's that had proven somewhat of a challenge for my Ender 3. *One thing I found was that the hot end nozzle could not travel the full y axis distance (235mm) of the bed length (*please note that the build size spec is 220mm, so it was ok and within specs without my modifications), short by about 5mm at both ends, as the wheels were stopped by the cast aluminum corner braces. I filed a 45 degree bevel on the ends of the corner braces for the y direction on all four corners which then allowed for full travel over the bed surface, I also had to modify the y limit switch to allow for the extra travel, and now I have free range of the entire bed. This is my second printer, and I am very happy with it, well worth the price. This is my first 3D Printer, i have been watching thier progress over the last couple of years before jumping in. having seen many video's on problems and solutions , i expected a few setup issues. I was completly wrong. this printer was easy to put together, and i was printing pritty quickly. 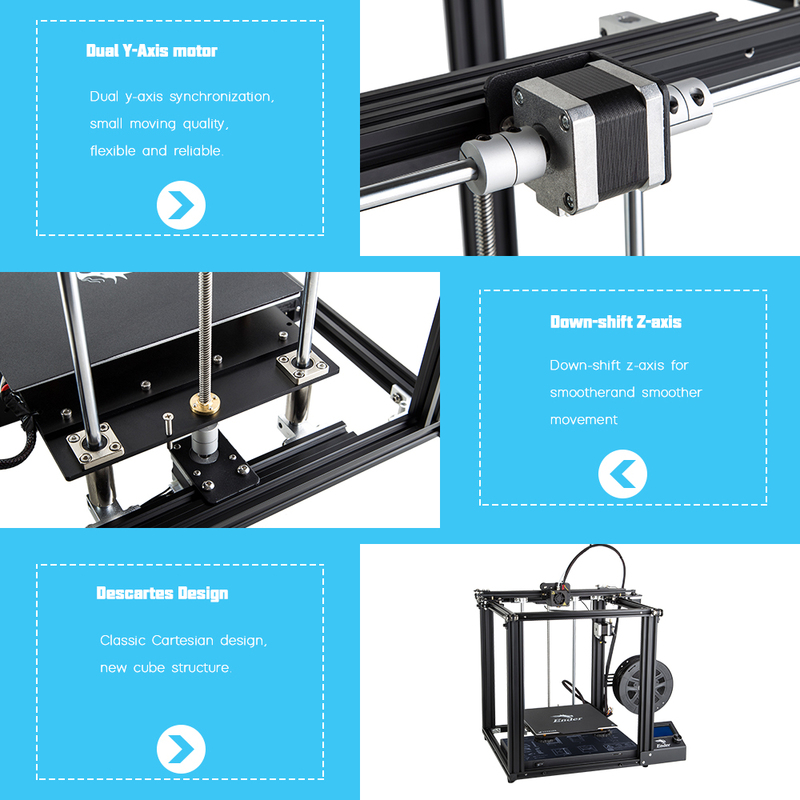 my first prints have all been excelent, very clean and smooth finished products, this is also a quiet printer. one note make sure the platform adjuster is set correctly so that it stops it from hitting the print head before you first turn it on. woops I didn't. 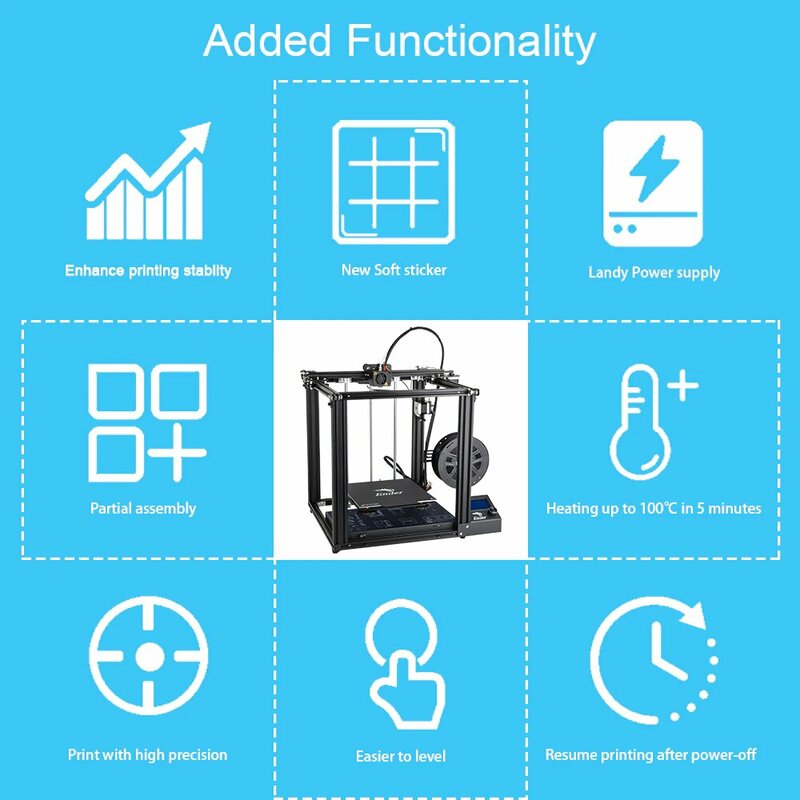 overall its a fantastic printer and I would highly recommend it to anyone. Enjoy and have fun. good service! I great price! love the printer & received in a timely manner. thanks again! Creality Ender-5 3D Printer Michael M.
This is my first 3D printer and I am impressed. Easy to assemble and to navigate through the control menu. It has handled several large prints using PETG without trouble once I learned the temp, fan speed, and bed temp that the PETG I bought from Amazon likes (239 degrees, 10%, 65 degrees works for me). It has been fun learning about 3d printing with this machine. This is my first 3D printer (Ender 5). Super easy to build. Great instructions. I have had it for 3 weeks and my kids and I are having so much fun. Seems like a very quality machine.